Get Divine Guidance on Navigating Your Journey to Abundance and Success By Finding Out the Gaps in Your Marketing & Business Strategy. You don’t have to be a professional tarot reader to use oracle decks for divine guidance. 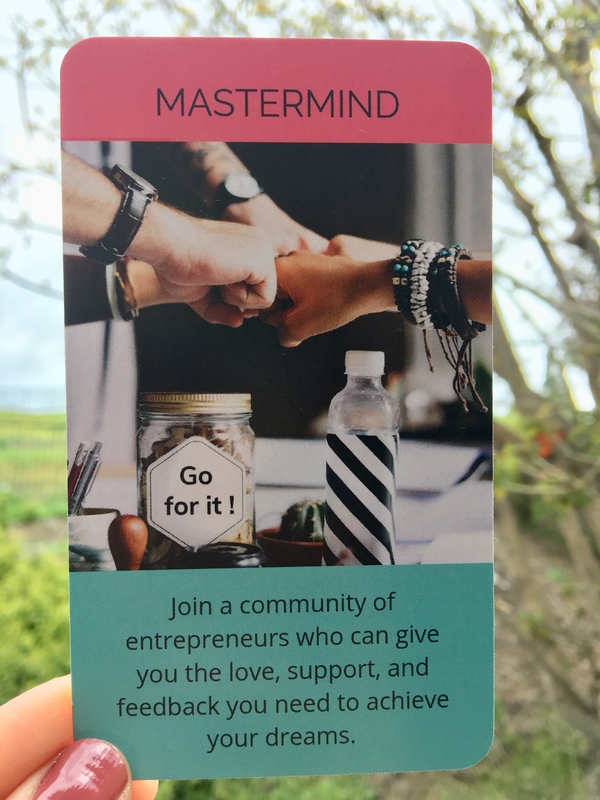 If you’re an entrepreneur who wants to build a sustainable business while transforming lives, I created this deck just for you! 60 Oracle Cards to Clarify and Support Your Business Journey to Abundance and Freedom. Use them for Guidance and Inspiration in Your Daily Spiritual Practice Before Starting Your Business Day.This deck was channeled and created for all of you strong, passionate, determined women entrepreneurs who are out there daily building their dream business.Use these cards daily as your morning ritual to get yourself focused and centered to step into your power as a divine feminine entrepreneur. 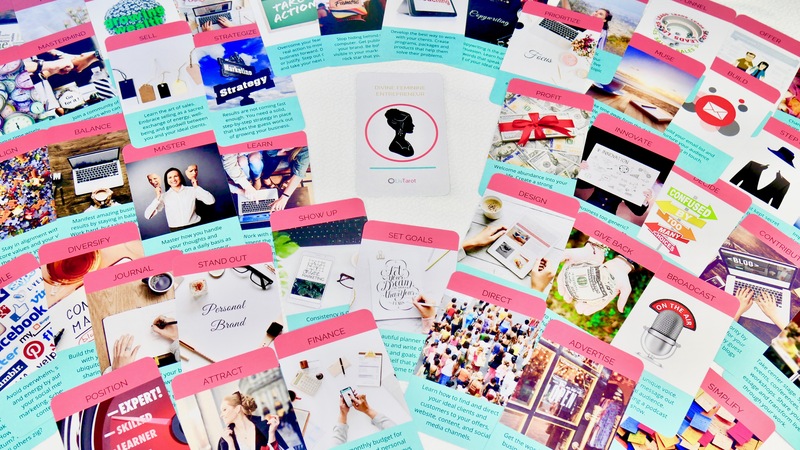 My eight years of online business experience inspired me to include every aspect of building a long-term successful business in this deck. 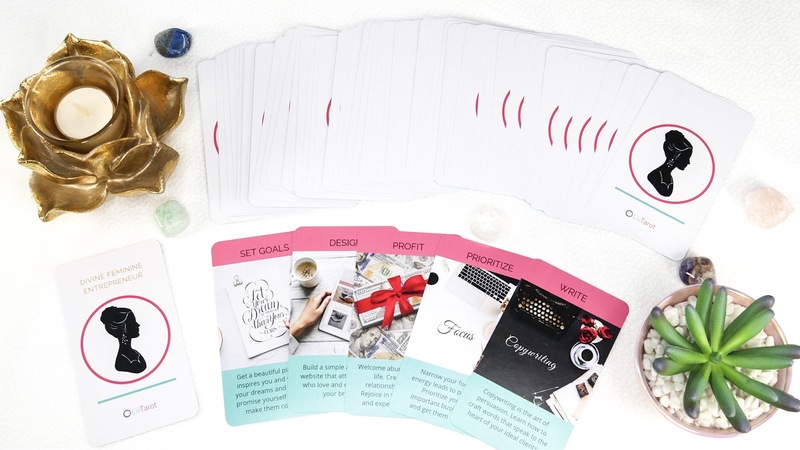 The messages in this deck will answer your most pressing questions about your business. 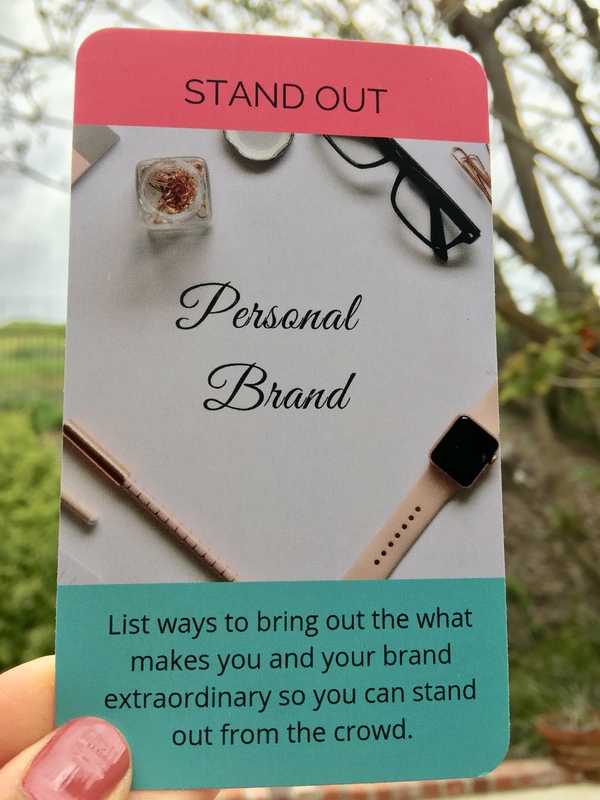 It will also help you clarify your path, and reveal aspects of business that you may need to work on more and give you specific action steps to take to build a thriving business that supports you both financially and spiritually. This deck also illuminates new avenues and insights for your success. Use your intuition to gently guide you to interpret each message for your specific situation. 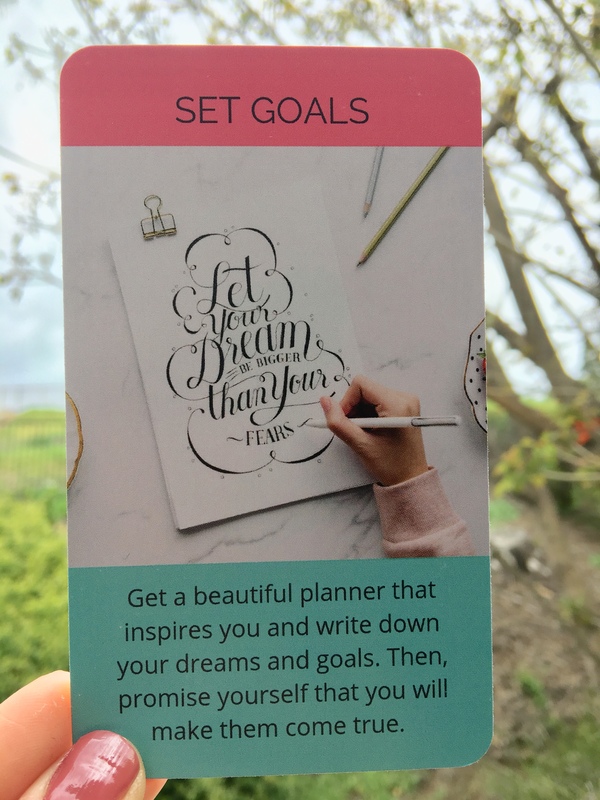 These messages will help keep your vibration high, support your expansion, and keep you focused on the tasks in your business that will make the most income and impact for you as an entrepreneur. – The deck comes with 59 oracle cards + 1 welcome card. – It’s stored in a plain white tuck box. – Card Dimensions: 2.75″ x 4.75″ – standard tarot card size. – Card Material: 300gsm professional quality card stock with square edges and smooth finish. NOTE: None of the LivTarot Oracle Decks come with an instruction booklet or PDF. They are meant to be used with your own intuition as it relates to the messages that are on the cards. They are no wrong ways you can use these decks and they are for all soul connections, not just twin flames. If you’re new to Tarot or Oracle decks make sure to watch my deck review and mini-reading video so you can see how to do a reading with my cards. They can be used in conjunction with tarot cards to give more depth, meaning, and as clarifiers. Or they can be used on their own without traditional tarot cards. All Decks are ready to ship within one business day! Shipping within USA included in the price. If you’re an international customer, email us at: info@livtarot.com and we’ll send you a link to purchase this deck.